Guest post by Matt Landau: The key to a successful vacation rental website lies in its ability to make a perfect match between its homeowners’ properties and its vacationers’ needs. There is no question that niche vacation rental sites are better designed to accomplish this goal than their larger, globally-oriented, “big box” competitors. But, according to a 2012 industry survey, more than half (51 percent) of all vacation rental owners use major listing sites (VRBO, HomeAway, and FlipKey) as their sole form of marketing. This is a staggering number, especially considering that competition on these listing sites has increased exponentially over the past five years. For a single vacation rental owner on Cape Cod, for instance, the odds are 1 in 3,247 that their property stands out on FlipKey.com. Using VRBO.com, those odds diminish to 1 in 5,279. And via HomeAway.com, the opportunity is reduced to a paltry 1 in 6,172. So, if a majority of people are solely using listing sites to market their properties, and standing out on those same listing sites is becoming increasingly impossible, what is the motivated yet frustrated owner to do? None of the big-box sites allow vacationers to search multiple towns or areas. You can either search all of Cape Cod, which would be impractical, or by an individual town, which could be quite tedious if you have multiple towns in mind. Using the big-box sites, one has to search by specific dates, one option at a time. On WeNeedaVacation.com, however, you can search for up to 4 different weeks at once, and the Power Search will present homes that are available during ANY of those weeks. This unique advanced search feature not only expedites the search process for vacationers, it also promotes the “good fit” philosophy so critical to a homeowner’s success in renting their home. When an owner is able to narrow down the size of the market by advertising on a niche platform like WeNeedaVacation.com, she is targeting a much more focused traveler profile: someone who knows precisely where they want to stay and what kind of rental they want to stay in. Thus, despite technically competing with over 4,000 other properties on the Cape and Islands, the niche site allows her listing to be among only a few select ones that meet the exact search criteria of suitable vacationers. Local information is key: A niche site also provides enough helpful information about the area to enable vacationers NOT familiar with the area to figure out the ideal fit location-wise for them. As a site that is dedicated solely to the Cape and Islands, WeNeedaVacation.com is able to offer maps and guides to help vacationers new to the area decide where they might like to go. The site even lists events so that vacationers will know what’s happening during their vacation. Its Vacation Planner offers restaurants, activities, museums, shopping, etc. – searchable by town and region. Every year, a guide to each area of the Cape and Islands is made available to their homeowners, which they can print out and leave for their guests. 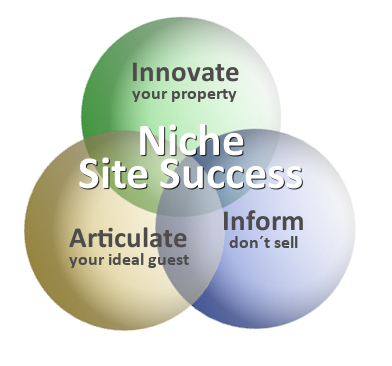 Learning to embrace niche marketing is probably the best strategic investment a vacation rental owner can make these days. Stay tuned for my upcoming post, “Mastering your Niche: How to Get the Most Value from Niche Marketing,” offering specific advice on how best to take advantage of niche marketing. I have also put together a course (it consists of four short emails) called “Standing out from VR Competition” designed to walk property owners of all shapes and sizes through the process of mastering your niche. For a limited time, I am giving away this course to WeNeedAVacation.com readers free of charge – so enjoy it while it lasts! Matt Landau is a vacation rental expert and columnist for HomeAway and FlipKey. The vast majority of his advice comes in the form of free tips via his Vacation Rental Marketing Blog and his store VRLeap. The challenge is to find that niche site. Our oceanfront home, Abalone Bay, is located in northern Sonoma, Sea Ranch, CA. It is very much it’s own niche. What I hope to see in part II…or perhaps it should be a part III is the research tools to locate that very specific niche. The other concern I have is while niche marketing is wonderful, if the owner can not locate it, how is the renter going to find it? The course mentioned at the end of this article is actually all about finding that ‘niche’ so to speak. Every single owner has the ability to establish themselves as unique: looking internally, identifying your one-of-a-kind position, and then elaborating on it…this is what branding is all about. 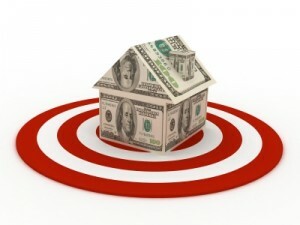 Since there may not be a specific website for each and every niche (although I am starting to see lots pop up for sure), many owners (like this one: http://www.vacationrentalmarketingblog.com/triathlon-properties/) are beginning to establish them individually.